This blog was originally posted on a collaborative partner, Foundation Innovation’s e-newsletter, and is reposted here with permission. Okay, spoiler alert, this blog is not about Star Wars; yet I am looking forward to the release of the Last Jedi this winter! I’m not alone, eh? Relevant forces influencing our work as education foundations do include an evolving demographic face of America – shifting at every aspect of our daily life from television programming to geographic representation/identification to a multi-generational workforce. So how are we, as education foundation leaders, steadying and adapting to meet these evolving demographics? Does your board composition reflect the needs of your diverse community? What strategies and policies does your foundation have in place to elevate and welcome diverse voices and representation? Is cultural awareness a priority to your foundation? There is a lot of empirical data to show that diverse boards of directors make better decisions. They are more innovative, adaptive, connected, and develop more comprehensive, informed decisions. Diverse boards enhance and build a deeper and more operational understanding of the diverse people and communities it aims to serve. So, what is it and why does it matter to foundations? Diversity is about broadening the definition of what it means to be human. It confronts the old thinking of “us and them” and “same or other” and simply, it highlights the fact we are united in being different. We all have differences, and recognizing and respecting those differences is a strategy to harness as a force for good…and this leads to why it is important to education foundations! Below are practical ways your foundation can incorporate diversity as a uniting force:At your next board meeting, openly brainstorm, “What should our board look like in the future?” Consider where the organization is going and what skills, experiences, contacts, and professional/personal backgrounds will be most helpful to the organization in the near term – but also in the foreseeable future. Identify your foundation board’s current “culture”. Is it welcoming to individuals of diverse backgrounds? When you invite someone to join the board you will want them to feel comfortable and become engaged with the mission, their role, and their colleagues on the board. Cultural sensitivity helps make new board members immediately feel valued – and increases the chances that they will remain engaged. Set goals for expanding the profile of your board in certain areas. Start evaluating board candidates with those goals in mind, and make sure all the current board members know what to look for when they are considering and cultivating future board member prospects. Think about what a new board member’s impression of your organization will be. On-boarding board members with a thoughtful orientation can help manage expectations and presents an opportunity to introduce veteran board members to the newcomers, as well as establish mentoring relationships that can help knit together a diverse group. 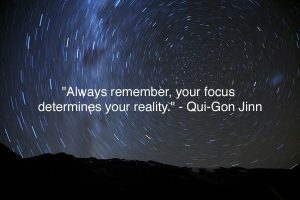 Quoting Qui-Gon Jinn in Star Wars Episode I: The Phantom Menace, “Always remember, your focus determines your reality.” My hope is this blog post helps your board take a next step in elevating the great work you do in a manner that is mission-supportive, results-oriented and creates impact as immense as the universe itself. Late last month I had the honor to moderate a panel of local nonprofit executives on diversity and inclusion practices within the organizations they lead. The discussion titled, “Building a Culture of Board and Organizational Diversity,” centered on strategies and tactics for consciously engaging diverse talent from all levels of community-based organizations. It was clear the topic hit a cord as the venue was filled with executive and mid-level staff and several board members representing a wide variety of mission-driven organizations. While each panelist shared a unique set of strategies and engagement tactics that fit their organization, the core values – diversity, equity and inclusion – were fundamentally shared across each of the organizations represented. In preparing for this moderated discussion, I researched nonprofit statistics and trends of diversity practices and commitments in the nonprofit sector. In a comprehensive examination of the diversity of the nonprofit sector conducted by Community Wealth Partners, I learned that while people of color represent 30% of the American workforce, only 18% of non-profit staff and 22% of foundation staff is comprised of people of color. As a person of color (4th generation Mexican-American and full-bred Texan! ), I know the reality of this data. Equally, as a decade-long, practicing grantmaking professional, I know there are advancements in engaging diversity in philanthropy as I have witnessed these actions in the clients I support and professional affiliations I am a part of. At CivicAIM, we believe in the power of “civic” as it signifies community and “aim” to build connection to the strengths and assets of different communities as well as to their needs. 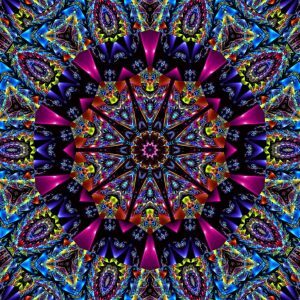 Much like the brilliance and range of depth in a kaleidoscope, may your journey of inclusion interlink connectivity and a non-exhaustive perspective of compassion, understanding and abundance of ideas to advance your social mission. embodying a spirit of courage and unwavering voice for inspiring positive change. CivicAIM fully embraces advocacy as a strategy to advance philanthropic missions. We have witnessed first-hand the multiplier effect advocacy has on influencing policy debates and ultimately, creating long-lasting, broad-based change. Learn more on how CivicAIM has helped set a precedent on empowering philanthropic leaders to engage and shape public policy. Is advocacy in your grantmaking playbook? At minimum, policy needs the input of philanthropy and our partners. Equally, philanthropy has an obligation to raise the awareness of the issues and populations we serve. Philanthropy can be a resource to policymakers – and not the check writing kind — but an objective, thought leader with the ability to facilitate time, talent and expertise. Foundations play a central role in improving communities and similar to policymakers who make difficult budgetary decisions, funders have to make decisions about where to invest limited resources that will have the most impact. This experience is knowledge policymakers want to hear. Our hope is you find these resources both inspiring and informative. CivicAIM welcomes engaged civic leaders who value the role philanthropy plays in laying the groundwork for a more interactive democracy. Call us today as we stand ready to help identify and customize an advocacy strategy to advance your work. We all want data. It is a necessity for any grantmaking foundation, regardless of asset or staff size, to do its job effectively. Yet unfortunately, there is a lack of evaluation culture, data skills, and capacity. This results in an incomplete picture of the philanthropy’s sectors contributions, wins, and misses. Next time you’re doing research to guide your decision making and you’re wondering why you can’t find data you need – from general information about an organization to a particular program’s impact or funding – ask yourself: Do you think the data exists? If not, think about how you might help create it. Creating a culture of data is a deliberate and active decision. CivicAIM is fortunate to partner with grantmakers interested in changing this status quo. They stand bold to reverse the evaluation deficiencies and do their part in creating a culture of data and evaluation. These grantmakers are inspired by the power of data driving impact, decision-making, and positive change in the communities. Through my on-going work supporting evaluation initiatives, I’ve come across useful tools that enable foundations to better support their grantees in evaluation through data utilization. More on that soon! What are current and credible resources for donors interested in evaluation and data to complement their philanthropic initiatives? There are many resources that span across several areas of interest. A bookmarked website CivicAIM frequently turns to is Foundation Center’s TRASI. TRASI stands for Tools and Resources for Assessing Social Impact. You’ll find a plethora of tools and learn what leading nonprofits, foundations, and others in the social arena are using to measure impact. Tools can be queried by issue area, nonprofit/funder entity, geographic location, and more. 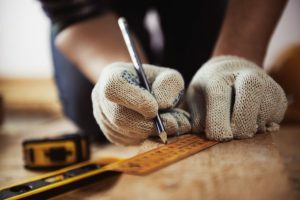 I particularly like that these tools are a hybrid of high-level best practices and have the capability to drill down to the details with evaluation templates, methodology, and customizable frameworks. Another credible resource is What Works Clearinghouse (WWC). WWC reviews existing research on an array of programs, products, practices and policies with the goal to provide information on evidence-based decisions. Although WWC leans mainly to the field of education, I have seen funders utilize this resource to evaluate their efforts in child welfare, public health and criminal/juvenile justice as it intersects closely with education. Additional, as clearly stated in its mission, Urban Institute, is focused to “open minds, shape decisions, and offer solutions through economic and social policy research.” Urban Institute offers key statistic on economic and social issues, interactive graphs and maps based on issue area. It also features case studies and story collections that go beyond the data. What advice can funders implement to create a culture of data and evaluation? Start with your network of social change organizations. Have frank conversations with your grantee partners about their evaluation and data efforts. What breakthroughs and challenges do they encounter? Talk to fellow funders who prioritize evaluation and data and ask how they manage evaluations and build upon their knowledge base and their grantees. Create learning partnerships on the topic of evaluation. As you learn more, get involved by helping elevate evaluation learning. You can do more (and learn more!) 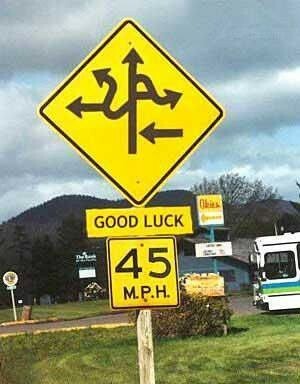 if you work with other funders who prioritize evaluation. Start small and informal – listen in on webinars together, bring in evaluation specialists to help guide discussions, and talk opening about roles philanthropy can play in supporting healthy evaluation culture in the social sector. 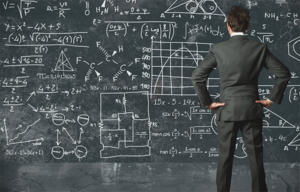 Integrating evaluation and data in your grantmaking can truly start at any level. My hope is the resources provided offer a solid step to guide your decision-making and learning in creating a culture of data and evaluation. How do we know we are making a difference? Can we make a bigger impact? Deliberately exploring how to make the most of your giving is the first step in understanding the impact of your philanthropy. It is important to note, that both assessing and increasing your impact may or may not be a linear process. Similar to the image symbolizing this month’s blog theme, assessing philanthropic impact is a hands-on, engaged activity and part of a much larger process of building change. Additionally, assessment utilizes a variety of tools and indicators that serve as markers of achievement and progress. The ultimate goal of assessing impact is to routinely engage in practices that help you examine, reflect, and take action in honing your grantmaking strategy. With assessing impact, there is no wrong way to start as any effort to initiate this intentional reflection is a great lead step. If time is your excuse, I challenge you to carve 10-minutes! Yes, ten simple minutes to complete Exponent Philanthropy’s Impact Assessment Tool at your next board meeting or annual leadership retreat and get the dialogue going. I am confident this one framework will fuel future discussions on how your foundation approaches impact! CivicAIM has supported a spectrum of grantmaking institutions — those who have sophisticated, data systems to track their giving efforts and detail the work of their grantee partners, to funders, who are at the design phase of developing key milestones and indicators that will help illuminate progress of their philanthropic efforts. In either case, both sets of funders seek to be intentional, strategic, routinely reflective and proactively engaged in refining their impact. What impact are we trying to achieve? Take note of how each member of your foundation describes said impact. Is there alignment? Differences? How well does it coordinate with your current strategy? In reviewing our grantees, what contributions have they made toward advancing the impact we seek? Your grantee partners (and they are exactly that – Partners with a capital P!) are direct extensions of furthering your philanthropic aims. Is there cohesion in the programs and organizations your foundation funds? In what ways might your foundation strengthen, coordinate and leverage the values, expertise and resources each organization/program brings? What have we learned about our grantmaking strategy thus far? Take time to identify successes, lessons learned and even failures. In many ways, hindsight is 20/20. What variables (internal/external factors) do you feel led to the cited outcome? What changes, if any, will your foundation make given what you’ve learned thus far? What other information do we need to understand progress in our strategy? How can we continue to be knowledgeable in the giving area(s) we fund? Just as you invest in your grantees to build their work and efforts, invest in your foundation’s professional development as a way to boost your effectiveness as a grantmaker. Who else does work similar to us in the field of philanthropy? How might our work add value to what others are doing? What professional affinity and networking groups exist that we might participate and collaborate with? It can help to take these discussion prompts one at a time and have a thorough discussion on your foundation’s strategic aim, capacity and overall expectations to charting impact. CivicAIM is here to help, with research, planning and facilitation services to support your foundation to stay effective and a powerful catalyst of positive change and impact. The dog days of summer are approaching its end, and despite the hiatus from my blog, these past months have been anything but lazy! Summer, revered as a time for reflection and recharge, a common theme shared by my foundation clients is to sharpen and implement a collaborative mindset in their grantmaking. Collaborate – easy to say, not so simple to execute. So why venture into the complex woods of collaboration? 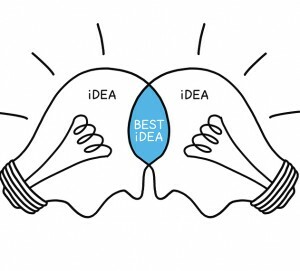 Whether the funder’s intent is to leverage grant investments, encourage a larger community to think big and engage in solution-building, or truly practice what it preaches to nonprofits about coordinating and teaming efforts, collaboration is essential as most social issues require far more resources than any one funder (or grantee) can provide. Careful, Purposeful Planning – Clarifying the collaboration’s “north star”, is integral as direct implications on it will source decisions that flow from that purpose. A dogeared guide in CivicAIM’s resource library for designing events that promote collaborative initiatives is Monitor Institute’s Gather: The Art & Science of Effective Convenings as it offers a set of design principles, key questions, and considerations to successfully harness the intelligence of the collaborative. The title of this month’s blog is indicative of the umbrella theme of this year’s Council on Foundation Annual Conference: The Future of Community. The quote is more accurately credited to two slam poets of Split this Rock, and in my opinion, their words rekindled the core message of philanthropic funders and agents of social change from across the world who stand at the forefront of innovation, explore creative ways to advance the common good, and find solutions for complex issues in society. It is professional gatherings like these that provide stretch and inspiration to the work of CivicAIM. To be among 400 grantmaking entities, scholars, researchers, and just plain wickedly, thoughtful practitioners from across the world was a philanthropy wonk’s dream come true. The conference and its networking provided opportune time for purposeful exchange of ideas, peer reporting and reflection on strategies dedicated toward achieving the greatest impact, and a bird’s eye view of social sector trends. The focus of the 72-hour gathering was to promote best practices so that one day these might become common practices of action and influence for social good. Similar to what CivicAIM preaches to its clients to invest in continuous learning, we take this practice to heart so our practices and counsel strengthen and add value to both our clientele, and the field of grantmaking. Say it with me, “Don’t collect, what you cannot protect.” This is the mantra led by Lucy Bernholz, Senior Research Scholar, Stanford University Center on Philanthropy and Civil Society. With data and its collection (and use) as a critical element to philanthropy, Bernholz unveiled the recent launch of Digital Civil Society Lab’s website, digitalIMPACT.io. Learn, engage, and build upon your organization’s practices on how can nonprofits and foundations govern and use digital data ethically, safely, and effectively. Calling all advocacy grantmakers — newcomers and veterans alike — LearnFoundationLaw.org, is the first-of-its-kind, free resource for private foundations to learn the basic legal rules for private foundations. Maya, the online program officer, leads participants through interactive courses and takes the daunting nature of advocacy and lobbying into bite-size practical modules for funders and professional staff. The call for greater collaboration has been a persistent drumbeat in the nonprofit and philanthropic sector, and in keeping with the band metaphor, Grantmakers for Effective Organizations (GEO) doesn’t shy away from the role of drum major, helping guide funders toward being better collaborators. GEO’s recent publication of, Building Collaboration From the Inside Out, focuses on the internal conditions and environments that enable successful collaborations. This is a must-read for organizations serious about setting and supporting the tone for collaboration. And finally, a professional group, The National Network of Consultants to Grantmakers (NNCG) of which I am proud to join their membership roll call. NNCG is a network of experienced professionals consultants serving grantmakers. NNCG is a capacity-builder in every facet as it helps consultants, much like CivicAIM, elevate our work, expand knowledge and inform the field of philanthropy. 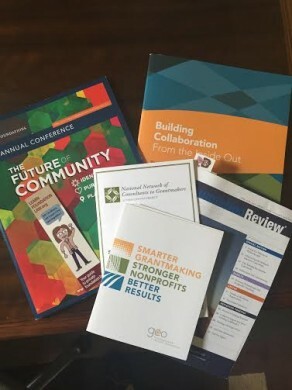 I had the fortunate opportunity to participate in NNCG’s Annual Meeting while in DC and stand impressed of the network’s unwavering commitment and thought leadership to advancing the social sector. With research projecting a rise of philanthropy upwards of 4.1 percent in 2016 and 4.3 percent in 2017, this increase in giving presents a remarkable opportunity to advance the capacity of social change. For nonprofits, social entrepreneurs, and change-agents alike, this uptick of charitable dollars is positive news. Yet with this excitement of increased assets flowing into the nonprofit sector, comes the increased stakes for effectiveness. If impact and accountability matter, then alignment matters. This month’s blog is dedicated to promote some of the most innovative and successful practices in how grantmakers, of varied asset and staff size, work to achieve their mission and vision. My intention is that you will walk away curious to learn more and take a step forward to join the conversation, and practice, of intentionality and effective giving. So, you’ve made the conscious effort to be more defined in how you charitably invest to create social impact. You’ve defined the problem you seek to solve. You’ve performed due diligence to learn more about the landscape of stakeholders and organizations who share your values and goals. Perhaps, you’ve even sought opinions from peers and relevant experts. And, you’ve been diligent with this practice for sometime. Now what? What’s happening with the money I donated? Is it working and is anything changing because of it? Why is ‘making a difference’ so hard? True to the cliché of blending art and science, the same can be applied to philanthropy. In supporting its client base, CivicAIM has witnessed a giving strategy is a balance of personal approach and passion that drives it forward (the art) and a framework based on reliable, relevant information about the programs or issues you seek to fund (the science). Experienced donors and philanthropists know how important the marriage of ‘art and science’ give focus and direction to effective giving. CivicAIM is here for you every step of the way to define and calibrate the focus of your philanthropic gifts and offers the following resources as a guide to charting your giving plan. The use of logic models for giving has been a practical resource for funders to think through the assumptions and projections of how their giving will create social impact. Particularly, the logic model can be a crucial tool for small staffed foundations looking to make sustained impact as it graphically illustrates strategy components and helps clearly and succinctly communicate a foundation’s projected outcomes, inputs and activities. Learn how a Texas-based family foundation and its grantee partners incorporated the logic model into their decision-making and evaluation processes. For funders who wish to delve into more rigorous and comprehensive planning a theory of change is resourceful tool. The exercise of developing a theory of change encourages grantmakers to critically think through its pathway of giving, and articulate its strategy of accomplishing its desired change. Explanatory in nature, the theory of change is deliberate by linking outcomes and activities to explain HOW and WHY the desired change is expected to come about. In addition to its use as a planning guide, a theory of change sets the stage for evaluation by clarifying goals, strategies, and milestones. An insightful field example of this approach is highlighted by the Tauck Family Foundation. Last but not least, as these examples are only a few tools of impact and strategy for grantmakers, is the theory of philanthropy. Different from a theory of change, yet mutually reinforcing, the theory of philanthropy approach is designed to help foundations align their strategies, governance, operating and accountability procedures, and grantmaking profile and policies with their resources and mission. As the academic article professes, “Understanding focuses intention, intention directs action and learning, and learning deepens understanding.” The most recent issue of The Foundation Review (Volume 7, Issue 4) includes a special section on theory of philanthropy and illuminates the learning process of the Palix Foundation with this method. One of the greatest aspects of developing a philanthropic strategy is the sheer creativity and thoughtfulness injected into your aims of creating the positive change you seek in the world. Philanthropy is personal and creates connection. And because of this, there is no ‘one size fits all’, which makes the work of philanthropy challenging, rewarding, and inspiring altogether. Through the collaborations of past and current CivicAIM clients, the journey of purposeful giving is exactly that – a roadmap of anticipated milestones, twists, turns, and surprises of knowledge and relationships garnered, and collaborations earned with other social change agents along the way. So in the spirit of defining New Year intentions, below is a list of thoughtful bellweather resources in the field of strategic and intentional philanthropy. *Nerd Alert* Yes, I proudly display my true colors of regularly consuming, evaluating, and referencing these great works of thought and research on the philanthropic sector’s contributions, challenges and transitions! May these guides inspire and enhance your intentions of purposeful giving. Share your intentions and predictions. What philanthropic practices were you proud of in 2015? 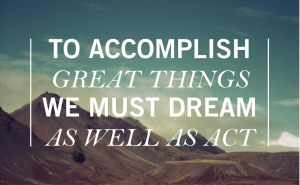 What are your giving aims for 2016? I am proud to announce the launch of CivicAIM, a philanthropy consulting practice. With emphasis squarely on supporting grantmakers – private and family foundations, funder collaboratives, and social entrepreneurs – in every detail, CivicAIM works with philanthropists committed to producing bold and effective change in the giving priorities they seek to support. The refined focus to grantmaking effectiveness is highlighted in the name change from Advocacy In Motion Consulting to “CivicAIM”. With this rebrand in mind, CivicAIM is structured to focus on producing positive community impact by advising grantmakers of practices and strategies geared to achieve their intended outcome of giving. A vast majority of my time this last decade has been spent examining a variety of philanthropic models, designing, implementing, and evaluating giving for purposes of effectiveness and efficiency, and helping create and elevate the stories funders share to build the professional field of philanthropy, and most importantly, realize positive impacts in the communities they support. CivicAIM: Advising grantmakers of effective practices and strategies geared to achieve their intended outcome of philanthropic giving. I invite you to explore the launch of civicaim.com showcasing core services to funders, client testimonials, and case studies of support, with more case studies to come in 2016! Additionally, as a way to interact with people serious about philanthropic strategy, I created this blog to learn and exchange resources and experiences in strategic giving. I truly look forward to hearing from you and will equally share the insights and resources I learn.